Bureau Veritas’s Mumbai-based Global SSC provides effective integrated support that makes the organisation run – just not in the traditional way. 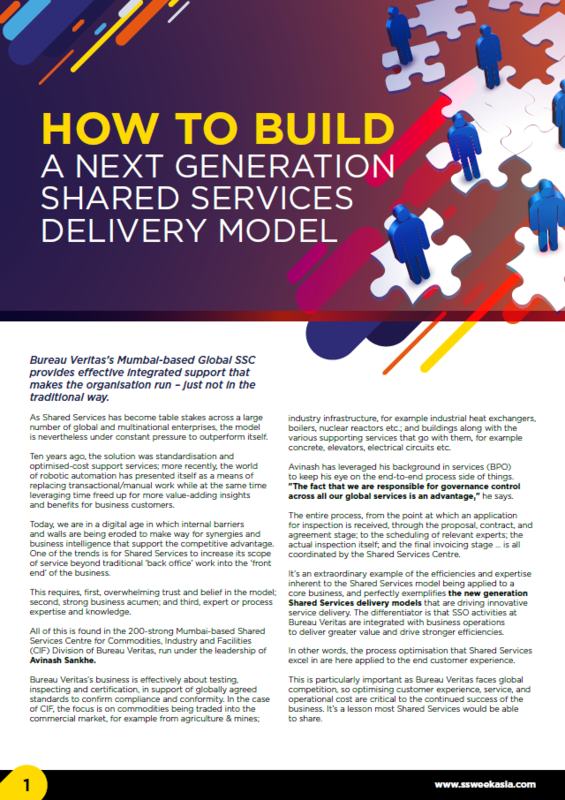 As Shared Services has become table stakes across a large number of global and multinational enterprises, the model is nevertheless under constant pressure to outperform itself. Ten years ago, the solution was standardisation and optimised-cost support services; more recently, the world of robotic automation has presented itself as a means of replacing transactional/manual work while at the same time leveraging time freed up for more value-adding insights and benefits for business customers. Today, we are in a digital age in which internal barriers and walls are being eroded to make way for synergies and business intelligence that support the competitive advantage.